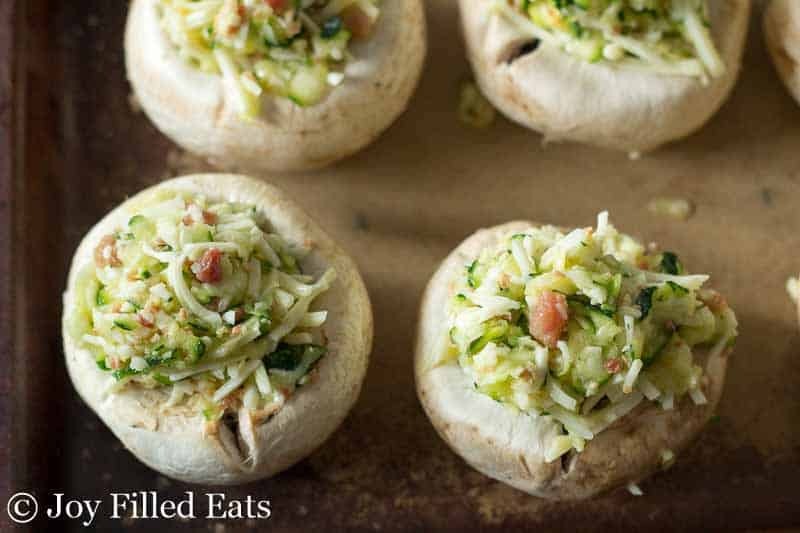 Tender mushrooms stuffed with shredded zucchini, bacon, and two kinds of cheese make the perfect side dish or appetizer. 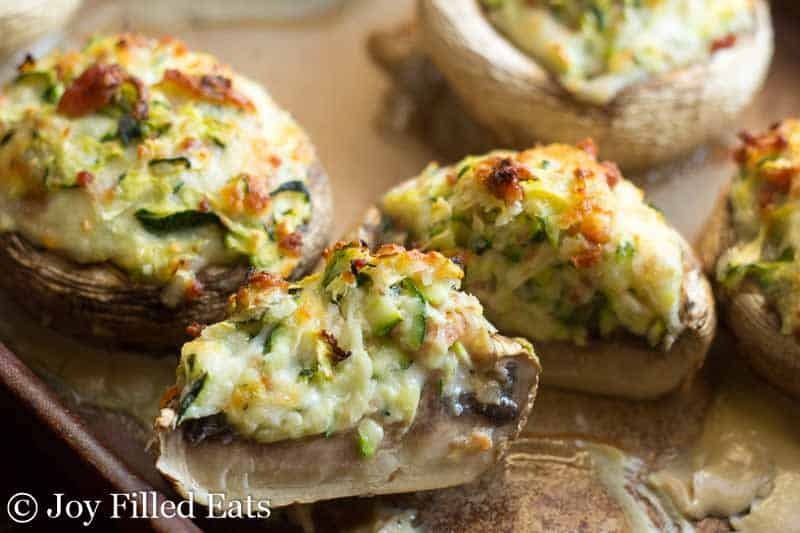 Since these cheese stuffed mushrooms only take about five minutes to prepare they can be a staple in your meal plan. We love stuffed mushrooms in my house and when it was 5 pm the other day with no real plans for dinner I decided they would be a good accompaniment to the leftover Cauliflower Soup we would be having. 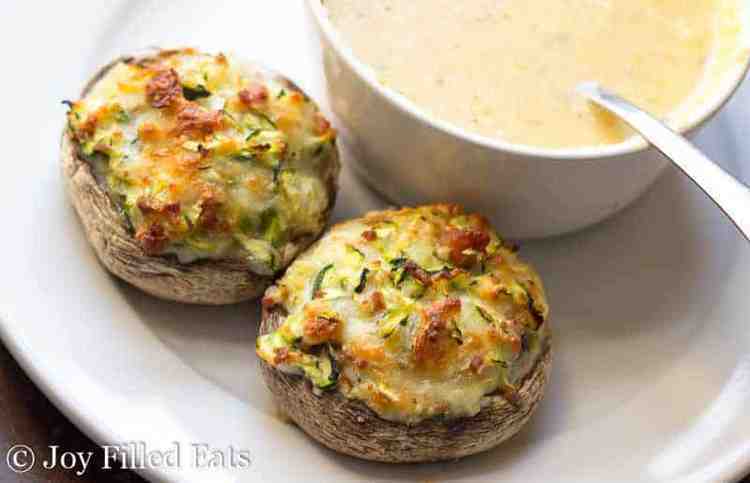 These Two Cheese Stuffed Mushrooms were amazing. I decided to use shredded zucchini as the filler in the stuffing to keep them light and get another veggie in. These only take 5 minutes to prep making them perfect for a weeknight side. In addition to the zucchini, the filling has bacon, mozzarella, and provolone. Feel free to change up the cheeses. I had a pre-shredded bag of Two Cheese Pizza Blend and I knew it would be tasty in these mushrooms. My husband works late occasionally. On those nights so I try to keep dinner easy. It’s hard enough getting the kids home from school and through their homework. I can’t make fancy dinners on top of the rest of my mommy duties. Sometimes we even just pop in frozen pizzas and eat in front of a movie. My kids love when we have a “movie night” and eat dinner on a picnic blanket in front of the tv. I love how versatile mushrooms are. You can use them in almost any savory dish from any country. Preheat the oven to 400. 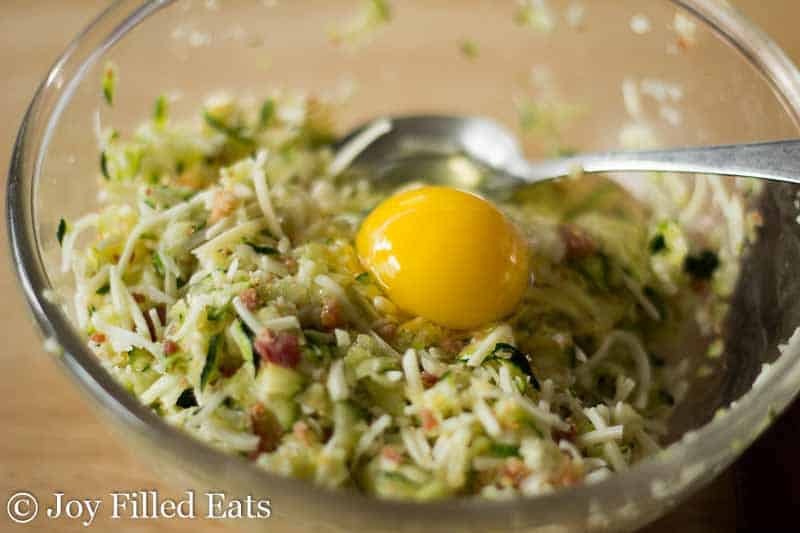 Sprinkle a little salt on the shredded zucchini. Set aside. In a medium bowl combine the cheeses, bacon, egg, and seasonings. Squeeze as much liquid from the zucchini as possible. Add it to the filling and mix well. 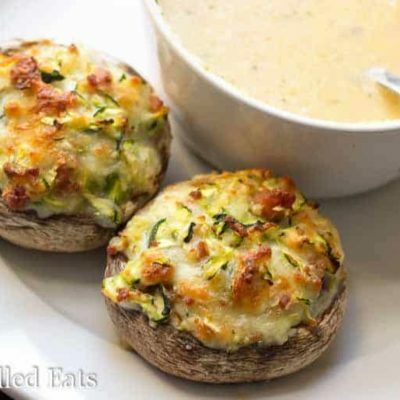 Divide the filling between the mushrooms. 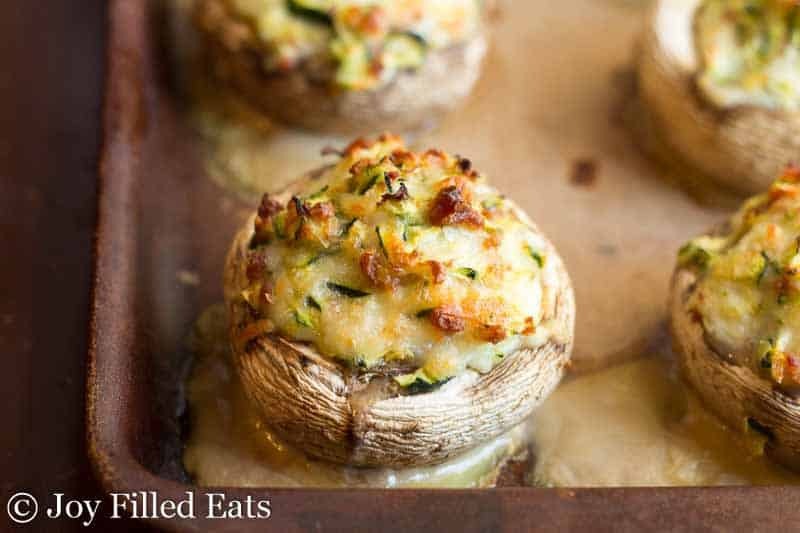 Bake for 20-30 minutes until the filling is golden and the mushrooms have softened. What is the measurement amount of the one zucchini? About one cup. The exact amount doesn't really matter for this recipe. These were a great success at my house! I had too much filling leftover after stuffing 7 caps, so I put it in a ramekin and cooked it alongside the mushrooms. 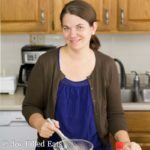 My dd doesn't like mushrooms, but she ate some of the filling - I didn't mention that the stems were chopped up into the filling. This was so easy, and looks like, tastes as good (better), and is healthier than what I'd get at a restaurant. I used mozzarella and Romano. Thanks for another wonderful addition to my personal menu!